Interested in exploring the world with your family, friends or colleagues? Go at your own pace. Create a custom tour or celebration experience exclusive to your family, group, church, or organization. We customize each journey based on your specific interest and budgets. Privacy please – each custom experience is exclusive to your group, no sharing. You receive a free land place for every 15 travelers booked! Travel and learn? Teachers, schools, universities, continuing education-Want to take learning from text or practice to hands on global immersions? Welcome to Leaning Journeys, our transformative custom group travel experiences. 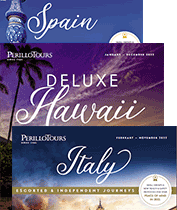 We match the perfect travel experience to your groups interest and budget. We take the work out of your hands. Once your program is confirmed, we create an online booking site for your friends, family, group members to register. We also offer one-on-one support from your own expert booking concierge who manages your booking, start to finish. Once your group is on tour, an expert local tour director will manage all details of your program. Time to enjoy and think about your next group adventure.